“I’m sorry I wrote you such a long letter. I didn’t have time to write a short one.” So Blaise Pascal, a French mathematician and philosopher, allegedly excused himself once. Or perhaps it was Mark Twain or George Bernard Shaw. It’s witty, it’s ironic, it’s true: that’s why any of them might have said it. Here is how I know that: I write for The Economist, and most of our articles are short. I’ve opined on the subject of optimal length in writing before, but in this context, let’s just say that it is the shortening that takes all of the time. But why were there so many emails in the first place? Oh yes, because all sorts of people (mainly PR people, but also others) are writing me emails. And those are all busy, busy, busy people, with very little time. So their emails are long and sloppy. They refer to an attachment that is missing. They invite me to an event on the wrong date, or omit the date, or the place, even as they somehow find paragraphs of other things to say. So then, since we are all so very, very busy, we shoot the emails back and forth to clarify this and rectify that, and the threads grow and take more of our time, making us even busier and requiring us to write even faster, thus making our emails longer and sloppier…. So, for a few months, I’ve been trying an experiment. I respond less fast, and often not at all. When I do email, I take more time. I actually read through emails before I push Send. I check that phone numbers and dates are correct, and that all the information is there. I think about what is extraneous and what I can cut. Lo, the threads are getting ever so slightly shorter, the iterations fewer, the decisions more decisive. To my surprise, I am finding that, by slowing down, I have more time. If, like Pascal, I need to write a letter, I might now be able to make it … shorter. I hope I can keep this up. Since then, I’ve been pondering what Orville told me about book editors and book editing, and indeed the entire fascinating change inside an author’s mind that occurs between the initial delivery of the manuscript and the printing of the final product. The reason, of course, is that I am currently in exactly this phase. It has been almost two months since I sent my manuscript to Riverhead, the publisher. The book industry runs in a parallel time dimension, so I knew this would take a while. So I’m absolutely (and in a very positive way) fascinated by how my own mind is filtering the long (110,000-word) text that I just sent off. And of course I’m eager to hear how my editor will react. Some editors, Orville said, don’t edit at all. That’s a good thing only if they are terrible editors. The best editors, says Orville, see the manuscript as a long and detailed outline, a sketch of what is to come, the genotype of the phenotype that will result. That’s because so often–at least in Orville’s experience–the real book emerges during this waiting period, as the author’s mind, with help from his editor, digests its own product, tests it, does violence to it, stirs it up, cleans it up and finally emits … a thing of beauty. This, therefore, is one of the big differences between blogging, magazine-writing and book-writing: Time. Time can do good things to a text, especially if the author’s immodest hope is that it become timeless. Both in my “day job” at The Economist and in my new role as aspiring author, I spend a lot of time thinking about people’s … time. Do people who might read my book when it comes out even have the time to do so? Would they volunteer to spend it reading? 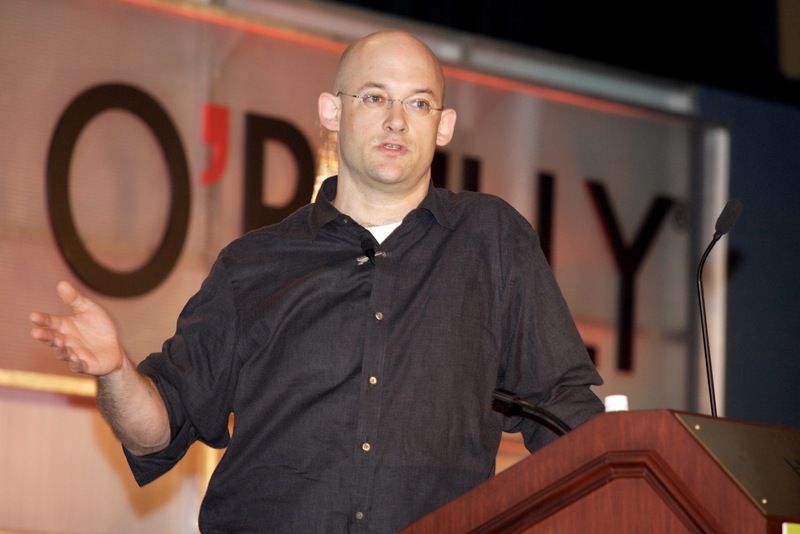 Somebody who makes good sense on the topic is Clay Shirky. He is an NYU professor and consultant and a new-media thinker. Why do I find his perspective refreshing? First, because he takes a loooong historical perspective to understand our current situation, which is exactly what I do in my book, even though it happens to be about a different topic. So Shirky starts with the “information overload” problem posed by the Library of Alexandria, exacerbated by Gutenberg’s printing press and (wait for the surprise) soon to be solved in our own time. And Clay loses it: “I just snapped. And I said, No one who works in TV gets to ask that question.” That’s because that time that people find comes in large part out of the “cognitive surplus” you [ie, the TV industry] have been masking for the past forty years! 1) All of the articles in all languages of Wikipedia, by Clay’s estimate, took 100 million hours of human thought to compose. 2) Americans watch 200 billion hours of TV a year. They spend 100 million hours a weekend just watching the ads on TV! So there is actually a huge surplus of thought and creativity, and we are only just discovering how to use it. His thinking extends fluidly to the context that I care more about, book-reading. Shirky is mildly bemused by the widespread fear about the alleged “end” of literary reading. is not decimate literary reading; that was really a done deal by 1970. What it has done, instead, is brought back reading and writing as a normal activity for a huge group of people. Many, many more people are reading and writing now as part of their daily experience. But, because the reading and writing has come back without bringing Tolstoy along with it, the enormity of the historical loss to the literary landscape caused by television is now becoming manifested to everybody.